The Belgian player has recovered from the hard entrance of Akapo and exercises with the group, as Hector Moreno, Zurutuza and Kevin. Adnan Januzaj will be able to play the Basque derby on Saturday at Anoeta. 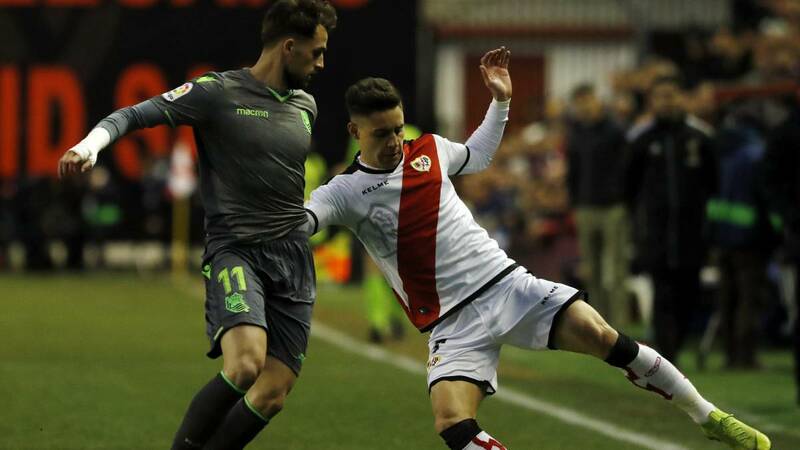 The Belgian player suffered a hard entry of the Huesca Akapo player in the final stretch of Sunday's game and that prevented him from starting the week working normally with the group. The hardness of the entrance, which left Januzaj very hurt, made the worst feared. Pero fortunately the blow has not passed major, and in today's session behind closed doors has been able to work with all his colleagues, normally, which shows being fully recovered from those annoyances that left him touched on Sunday. It is not the only player who was limping, proving ready to receive Athletic this Saturday. Other players who have been playing these last days also train normally, as in the case of Hector Moreno. The Mexican central lost his injury against the Huesca, but he is already recovered and he exercises without problems with the whole group, so if he considers it convenient, the Sheriff will be able to count on his services again this day. Together with them Zurutuza and Kevin Rodrigues have been with the group. In the case of the midfielder Rochefort could already be called the last day, but finally did not play. And with the Portuguese side goes with more prudence, but is also in a position to be called, since his future seems decided, and will not leave the Real in this winter market. You have to remember that Kevin was a starter in the derby of the first round in San Mamés. The rest of injured, Moya, Gorosabel, Bautista and Merquelanz, continue their recovery work outside of their peers and are discarded for this day.